This is a rectangular Tums porcelain sign. 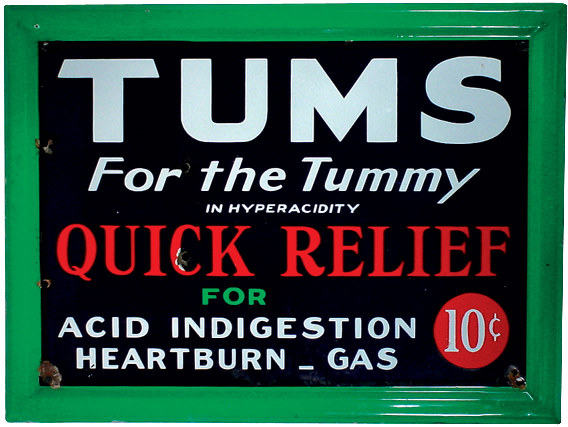 This particular Tums sign is predominantly green and black with white and red text. It reads, “Tums For The Tummy In Hyperacidity, Quick Relief for Acid Indigestion, Heartburn, Gas, 10 Cents” and features a thick green border.